The job market today is more competitive and fast-paced than ever. Applicants are expected to come in with relevant computer experience and the capacity to learn more. For job seekers who are transitioning from careers in which computers weren’t required, the idea of learning everything at once can be overwhelming. If you’re starting from scratch, email and word processing should be the first tools you learn to use. The best way to learn to use email, as with many computer programs and tools, is to use it. Simply start by signing up for a free online account with Google or Yahoo, for example. While most people are comfortable searching online and texting, you’ll want to go beyond those basics by learning to send attachments via email and create contacts lists. 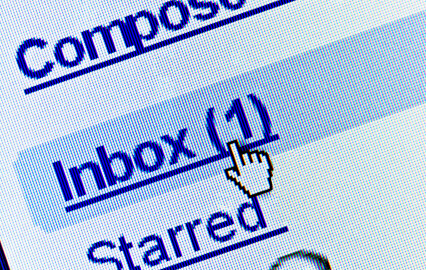 The basics of email, such as composing messages, replying and forwarding, are common to all email programs. Sending messages to friends can help you get comfortable with shortcuts and the terms used in emai. Word processing is another skill employers expect applicants to have. In addition to typing, job seekers should know how to use the word processing software to accomplish general tasks; this includes creating, editing, and printing documents. Regardless of the job, these two skills are vital for nearly every position and industry. Fortunately, community colleges, libraries, and other community facilities offer courses on these topics, so help is not far away. You can also visit our website and check out the eLearning Tools we have available. Great article and right on the mark. Word processing and email has become a basic skill that almost all employers require without even saying. Master these two skills first! Don’t forget touch typing and knowing keyboard shortcuts. Both increase work productivity and efficiency, which are invaluable at any workplace.